Shaki Khan Palace is one of the fascinating buildings of Medieval time Azerbaijan. It is located in Shaki city of Azerbaijan. 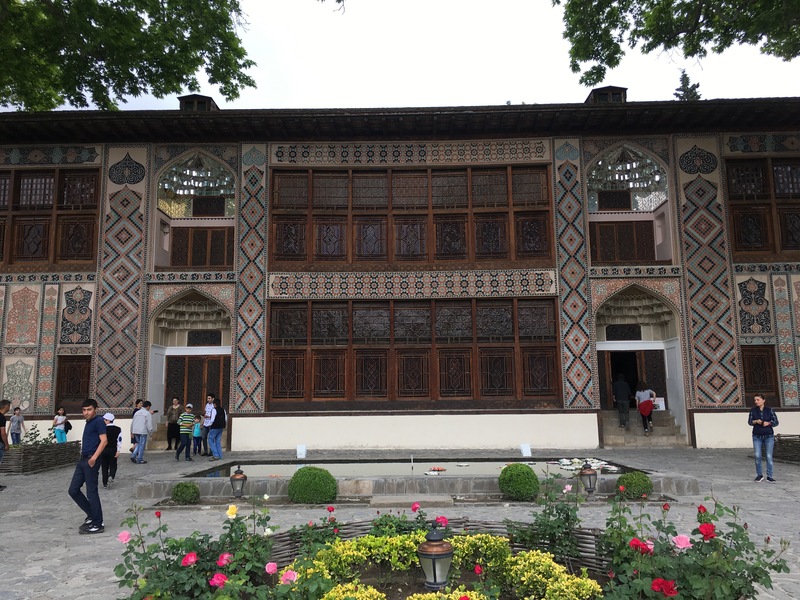 Though it is called a Palace, in fact it was a summer residence of Shaki Khanate. The palace was part of the larger administrative complex located within the Shaki Fortress. Along with the palace, once there were other magnificent structures, such as winter palace, residential buildings for Khans’ family, servants and army barracks in the complex. Unfortunately, through the time most of the buildings demolished. Now, along with the pool and hundreds years old trees, Shaki Khans Palace is the only remaining structure from the complex. Built in 1797 by Muhammed Hasan Khan and restored between 1952 and 1967, Shaki Khan Palace never fails to amaze its visitors. The building has a two-story masonry structure. The plan of both floors is very similar to each other. There are three rectangular rooms in each floor, separated with narrow corridor. The first floor was ainly used by clerks and public (the building also was an administrative office, so every day many local people were visiting the palace for various reasons) while the second floor mainly served for private purposes. In order to separate the flow of the people, each floor had its own entrance. The stairs connecting the floors was reserved for Khan and his family members. The structure is a combination of red brick with red cobblestone and does not include a single nail. Even more, there are unique sections of stained glass- shabaka, containing 3000-7000 pieces in each square meter. The architect glued the pieces together with a solution. The composition of that solution is still remains as mystery. Besides, frescoes entirely cover the interior of the residence depict flowers, hunting and battle scenes. Currently, all tourists traveling to Shaki, definetely visit Shaki Khan Palace. It is under the protection of Azerbaijan Government and open to tourists.